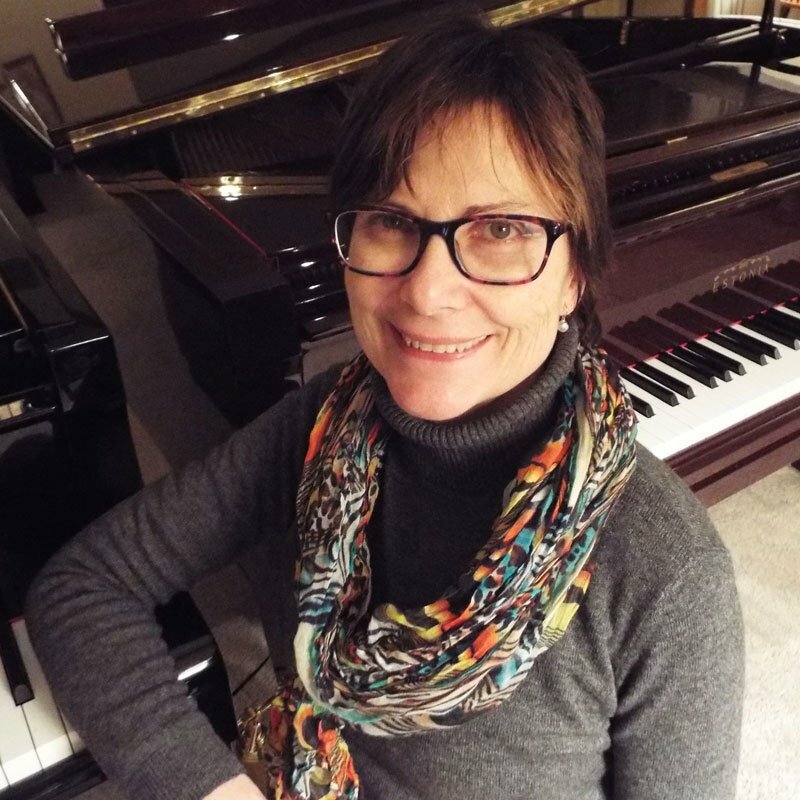 Gail Gebhart is a private Suzuki piano teacher in Farmington Hills, Michigan. In addition to maintaining an active studio, she is on the faculty of Wayne State University and accompanies extensively throughout the Detroit Metro area. She received a B.M. With Distinction from the University of Michigan and a M.M. in Piano Performance from Wayne State University. She was coordinator the piano area for the Suzuki Association of the Americas’ Biennial Conference in 2014 and she has taught at the Colorado Suzuki Institute, Oregon Suzuki Institute, Calgary Suzuki Institute, and the Chicago Suzuki Institute. SAA is fortunate to count Gail Gebhart among its new Suzuki piano trainers. Along with her wealth of teaching experience, Gail brings very strong performing skills and an extensive piano background. She will ably continue the SAA tradition of offering excellent courses in Suzuki piano pedagogy. With fellow teachers as well as with her students, Gail is proactive while at the same time a discerning and empathetic listener. Her ability to relate to others is exceptional.